Material: 12 Oz. Cotton canvas. Premium canvas material. Fully Insulated w/ front pocket. Rope handles. 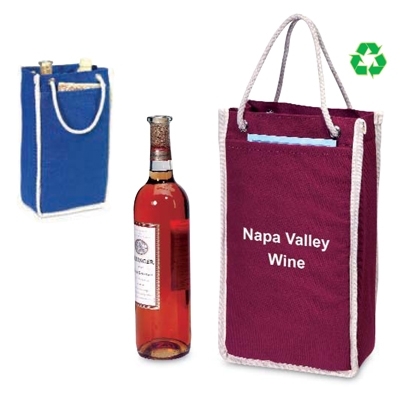 With the 2 Bottle Premium Canvas Wine Tote bag, your customers can easily and safely transport their wine purchases from your store to their destination. 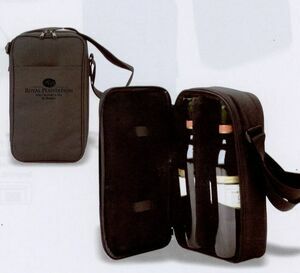 This is something that will be really appreciated by your customers as bottles of wine are difficult to transport because they are quite heavy and the shape of the bottles make it difficult to carry them by hand, particularly if you have more than two bottles. Additionally, because the bottles are made from glass, they are very prone to breakage. 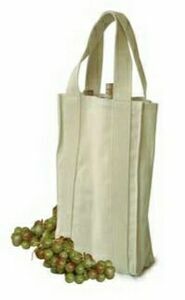 The canvas wine tote bag serves many different purposes. Firstly, it allows for easy and safe transportation, as discussed above. Additionally, it can be used as a marketing tool. 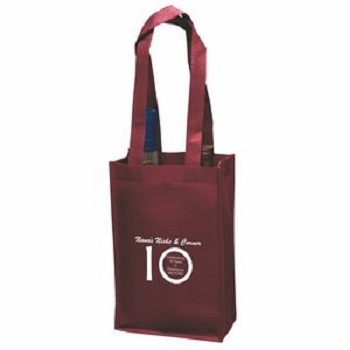 You can have your company's name and logo printed on the front of the bag, meaning your store will be showcased wherever you customers take the bag. 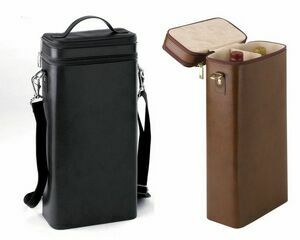 This added visibility is a real bonus and as the bag is highly durable, it can be used again and again, thus increasing the exposure of your brand. Additionally, it is a very stylish bag. Your customers will truly enjoy using this one multiple times. 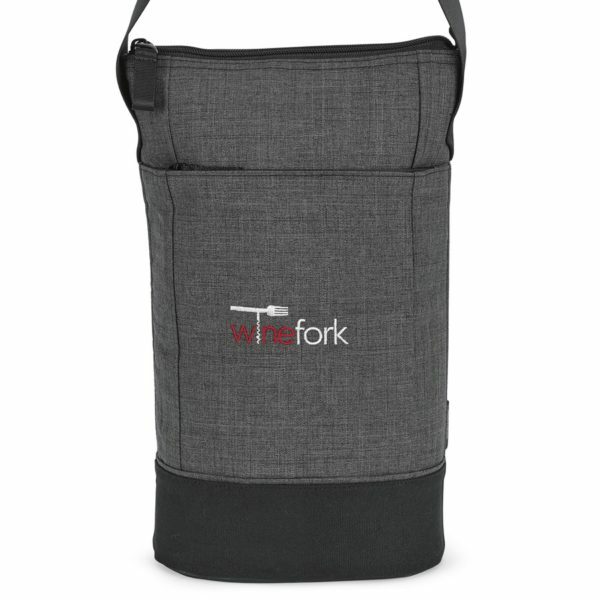 Its fed-through rope handles are a lovely detal and it also has a handy front pocket, in which you could put your store's price list, for instance. Afterwards, your customers could use it to put a corkscrew or wine stopper inside, or a card if they are giving the wine as a gift. The bag is available in burgundy red and navy blue with white details. 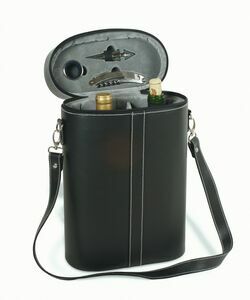 The naval look is very popular nowadays, so your customers would really want to go out and be seen with this bag. It is the perfect addition to any wine store.